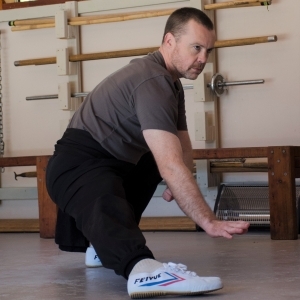 SiFu Lester is the Head Instructor of the Chinese Martial Arts and Health Centre Australia. Before moving to Australia he trained for many years under SiGung Marco at the CMAHC in Cape Town. Coming from a background of Electrical Engineering, Lester felt compelled to turn to teaching Kung Fu upon arriving in Australia because of his love for the system. He continues to travel back to South Africa and Taiwan regularly to continue his personal training in the system under SiGung Marco. He studies and teaches both the Kung Fu systems of Shaolin Northern Long Fist (Chang Chuan) and Hong Family Fist (Hong Chuan). Lester is a Government Certified Martial Arts Coach with a Certificate III in Martial Arts Coaching from the Australian College of Sports Development. In addition, Lester continues to work in Electrical Engineering and is a Registered Professional Engineer of Queensland with a Masters in Engineering Practice from the University of Southern Queensland. In his spare time, he is also an inventor and holds successful patents in Australia and the EU in the area of advanced systems approaches to high-energy ballistic protection. Lester was given the title of SiFu by SiGung Marco Kavalieratos in 2017 when SiGung Marco and SiFu Christian Hanche visited the Chinese Martial Arts and Health Centre Australia. Sherrilyn Walters is the head Tai Chi instructor and Ladies Self-Defence instructor at the Chinese Martial Arts and Health Centre Australia and also teaches the Chang Hong Kung Fu System. Coming from a background in animal science and classical dressage, with a Bachelor’s degree in animal science, Sherrilyn began her martial journey in 2003 and has been an avid student ever since. Sherrilyn trains in Yang Style Tai Chi Chuan under SiFu Christian Hanche at the Cape Town branch of the CMAHC and studies both the Chang Chuan and Hong Chuan Kung Fu systems. Sherrilyn travels back to South Africa and Taiwan regularly to continue her personal training in both Tai Chi and Kung Fu. Sherrilyn completed a Graduate Certificate in Sports Coaching from the University of Queensland in 2017. 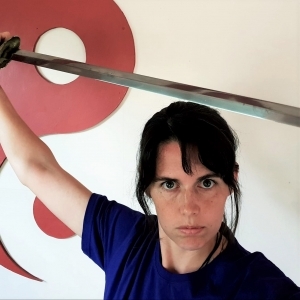 In addition to her work in the CMAHC Australia, Sherrilyn is also currently completing her Masters of Science Research Degree (Sport and Exercise Science) through the University of Southern Queensland specialising in identifying a scientific, physiological basis for some of the more esoteric, internal aspects of traditional martial arts. Traditional Chang Chuan and Hong Chuan kung fu systems, incorporating form work, martial applications, sparring practice, bag-work, fitness, strength, endurance, flexibility training and martial philosophy and mindset. Yang Style Tai Chi, incorporating QiGong practice, traditional and modern Yang Style Tai Chi barehand and weapon forms, martial applications and push hands training. Tactical Kung Fu Training, our streamlined self-defence program developed in South Africa incorporating strong foundation of traditional wushu with modern reality based self-defence training. This program gives participants an opportunity to learn practical self defence applications in a relatively short time, focusing on unarmed, knife and gun attack and defence. High intensity cross training designed specifically to develop fitness for kung fu training and the rigours of combat. Combining bagwork, cardio, functional and strength training in a fun, intense 30 – 45 minute session that gets results. Acceptance as a private student is subject to a successful interview. Private lessons are tailored to individual requirements and can involve training in any combination of our focus areas, including traditional Kung Fu and Tai Chi, Self Defence, Qi Gong, Meditation and Martial Arts Fitness, Stability and Power Generation. Practical, easy to learn community self-defence courses taught by a lady, for ladies. This course covers many aspects of self-defence that are not usually included in other self-defence programs, including not only physical aspects of self-defence such as stability, defence, movement, power generation, targeting and strategy, but psychological and mental aspects that are essential to survival including awareness, self-worth, focused aggression, control and preparation. This is a 12 week course which runs 3-4 times per year. The Chinese Martial Arts and Health Centre Australia can be found nestled in the beautiful Flagstone Creek Valley, 7km from the edge of Toowoomba, the second largest inland city in Australia. We are located on a 40 acre property, featuring a dedicated school building with indoor and outdoor training areas, traditional and modern specialist training equipment, bush-walking, meditation and camping areas. Sloppiness and lack of concern are not hallmarks of a good martial artist. This applies not only to classes or practising techniques but to everyday life as well. Our system is particularly demanding in terms of accuracy and focus. There is no room for a lazy attitude. The curriculum represents the proper progression of a student through the various levels of the system. Seniors must not interfere with the curriculum by teaching senior techniques to juniors or practising the techniques in front of them. All jewellery and watches should be removed before class.